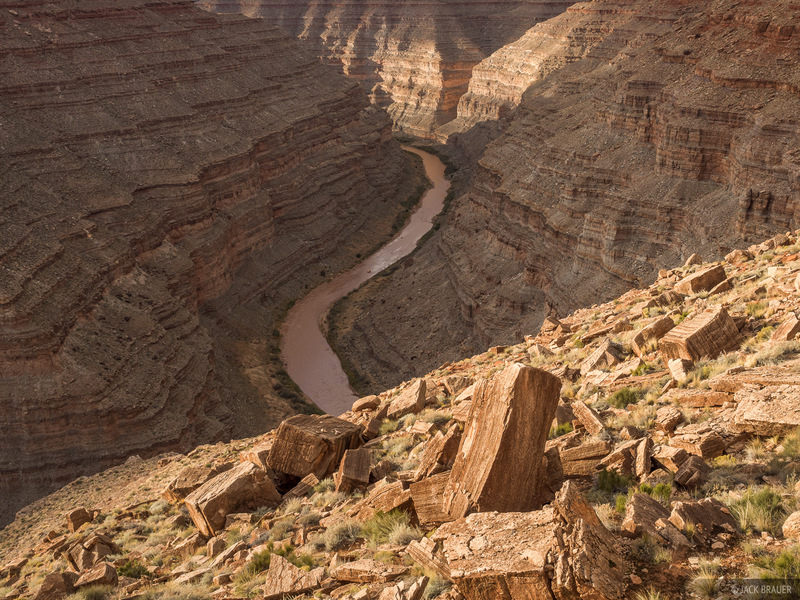 Horn Point, a precipitous outcropping along the Honaker Trail above the San Juan River gorge, Utah. 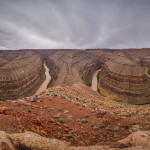 If you look at my recent photo of Goosenecks State Park, you can see that there’s absolutely no way to hike down to the San Juan River in that area — continuous cliff bands block any possible route down. However, back in the 1890s a precipitous trail was constructed nearby by Henry Honaker as a supply route for gold prospectors. 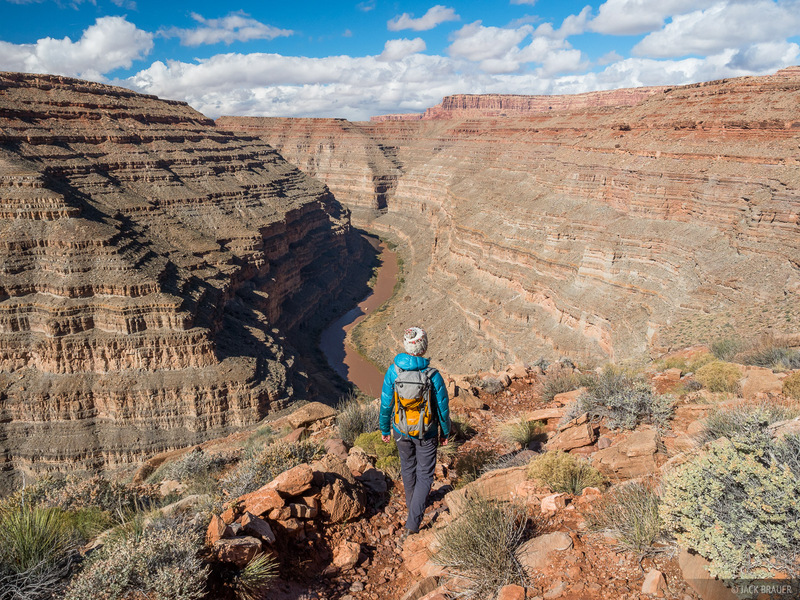 Honaker’s unbelievable trail zig zags down a puzzle-like route from the rim to the river, oftentimes descending sheer cliffs via large ramps built from meticulously stacked rocks. Hiking the Honaker Trail down to the San Juan River. Completed in June of 1894 after a year of construction, the first horse to attempt the trail fell to its death and since the mines proved unprofitable anyways, the trail was never used for its original purpose. 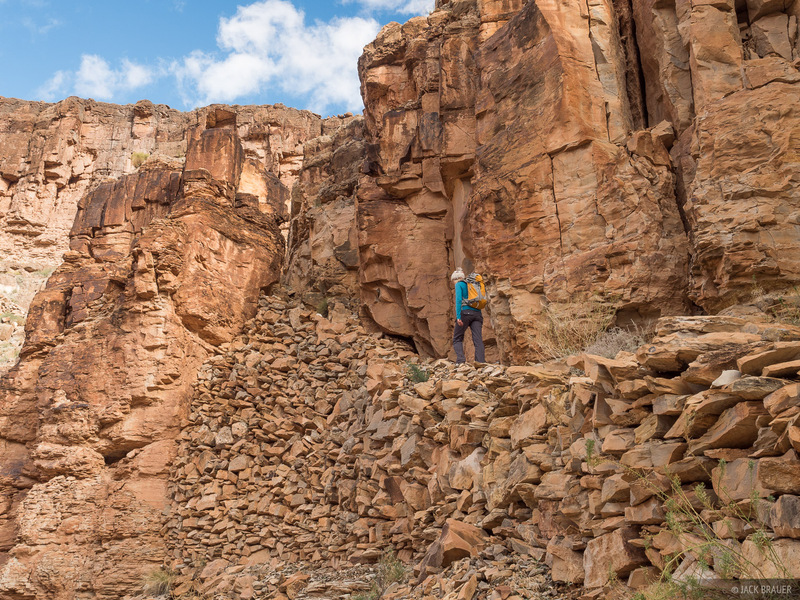 Today Honaker’s trail is enjoyed by geologists and the occasional hikers like us looking for another fantastic hike in the Utah desert. Meticulously stacked rocks provide a ramp to bypass an otherwise impassible cliff band along the Honaker Trail. Numerous such ramps were built along this trail to complete the unlikely route. 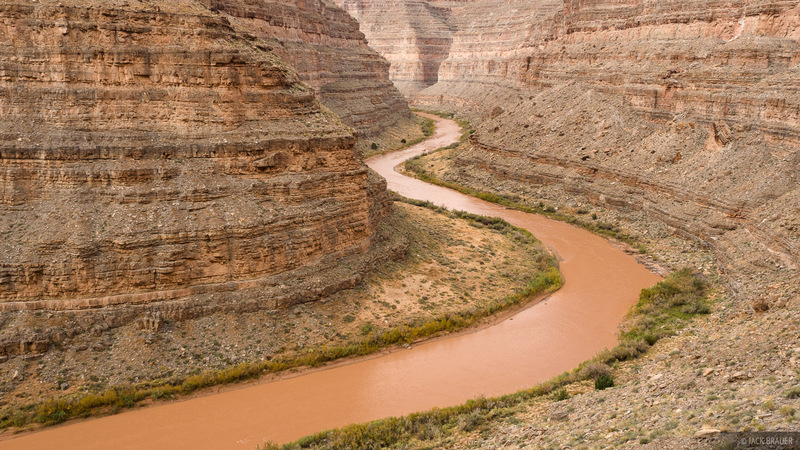 The San Juan River as seen from the Honaker Trail. 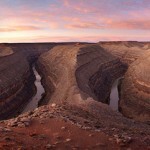 Hiking this trail is an absolute joy, with fantastic views of the San Juan River and its striated gorge the entire way. If there’s any trail in the Utah desert that confirms the old saying “It’s not the destination but the journey that matters”, this would be it. 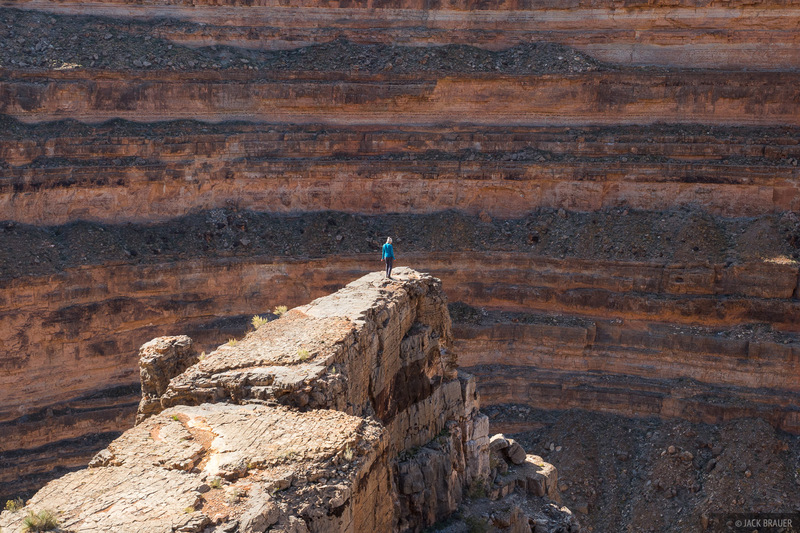 Acrophobics should probably avoid this hike, as it oftentimes traverses narrow ledges with massive drops below! Another treat here is that some of the geologic layers are covered in crinoid and brachiopod fossils. The whitish rock layer on Horn Point (see the top photo above) is covered with hundreds of clusters of these ancient little seashells. I actually was unaware of the fossils until we were taking a break and eating snacks here, and suddenly I noticed all the fossils embedded in the rock we were sitting on! To be honest we picked this hike as a sort of backup plan to kill a day while we waited for the muddy roads up on Cedar Mesa to dry after recent rainfall. But I’m so glad we went; it’s such an awesome trail! I enjoyed every minute of this hike and highly recommend it if you’re in the Goosenecks area and want some exercise! 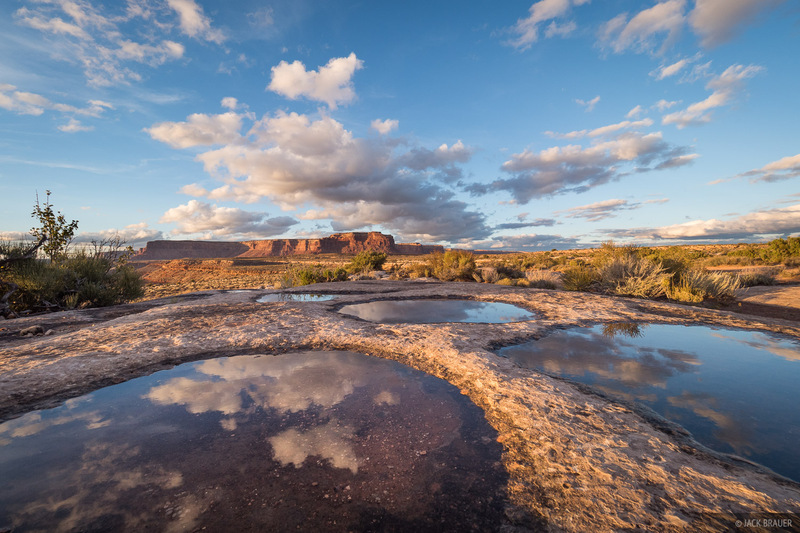 Potholes filled with rainwater reflect clouds above Cedar Mesa. After our hike we camped at the trailhead near the canyon rim. The photo above was taken about ten steps from our truck! 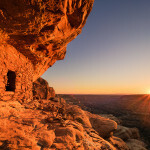 Posted in Deserts & Canyons and tagged Utah on November 15, 2015 November 16, 2015 by Jack Brauer. Awesome. I guess when it has been there over 100 years that rock ramp isn’t going to collapse. One would certainly hope so!!! Really beautiful, Jack and thanks for adding the note about not disturbing the illuminated ruin – we need to keep reinforcing ethical photography wherever we may be in the world. You are the light master! 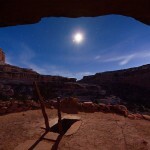 Great photos, excellent description of the trail and capture of the area. Thanks!